Melt the butter in a pot that can hold all the vegetables over medium /low heat. 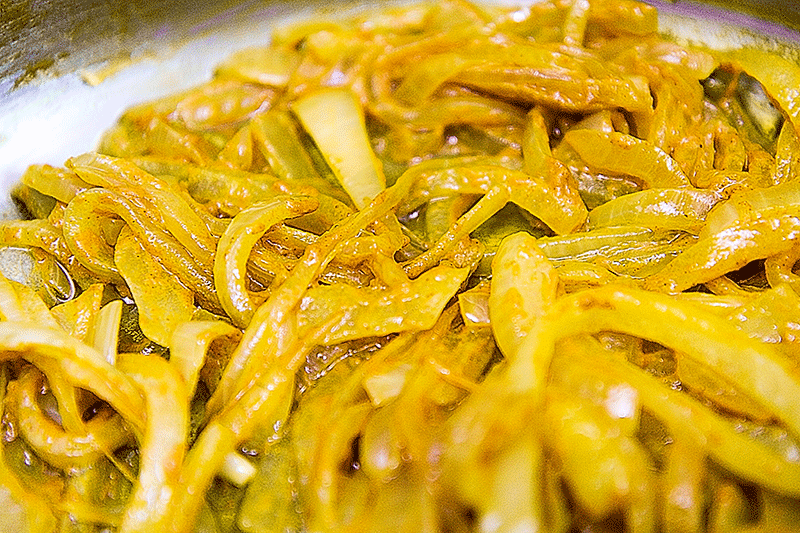 Cut coarsely the onion into julienne. 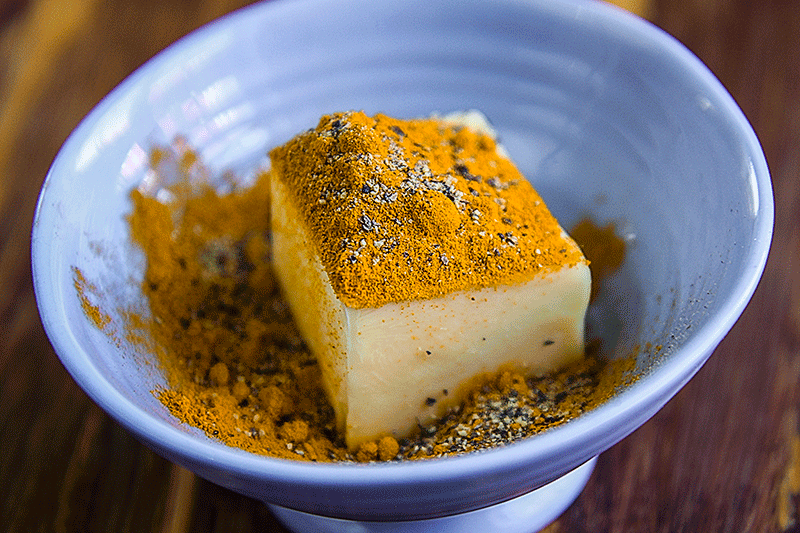 When the butter is completely melted add the onion and sauté it gently until is soft and translucent, then add the turmeric powder and mix well. Peel the potatoes and the butternut squash (removing the seeds) and cut them into cubes. Now add the vegetables to the pot with sautéed onions, and sauté them on high heat for a few minutes. 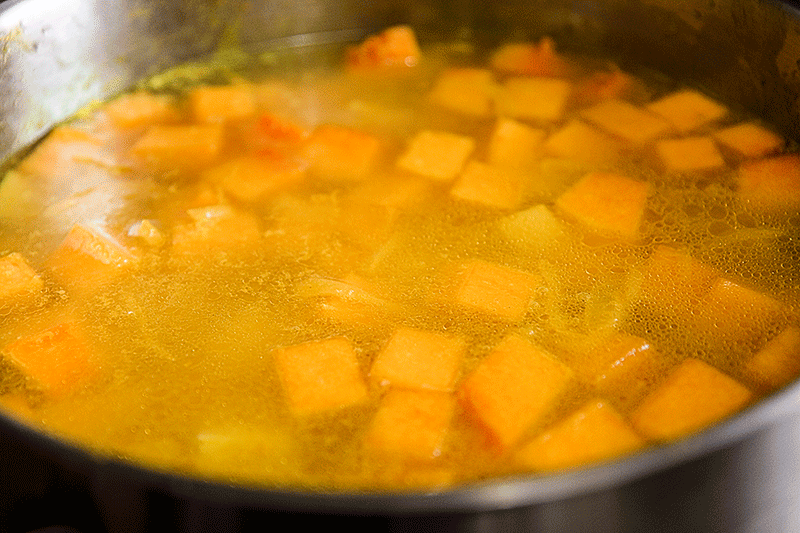 Add cold water just to cover the potatoes and butternut cubes. Once the vegetables start simmering, lower the flame, cover the pot, and cook for about 40 minutes until the potatoes are soft and well cooked. 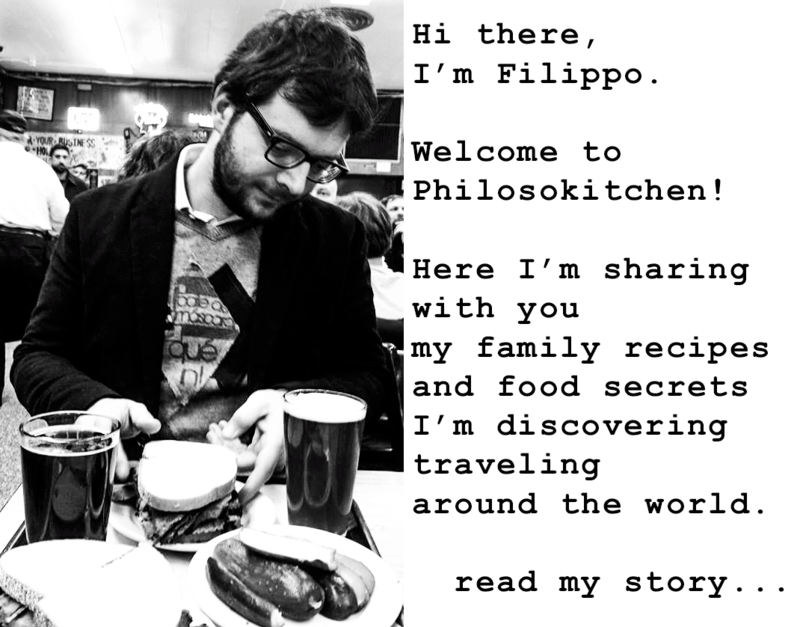 Wash the rice and cook it with the pilaf technique. washing it before cooking to remove the excess of starch. Follow the cooking times of the pack (it will take about 35 minutes), adding water to double the volume of the rice. When the rice is ready, let stand covered 10 minutes off the heat, then fluff with a fork and let’s put aside. 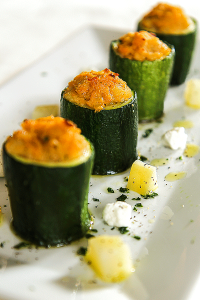 As soon as the vegetables are cooked, add the fresh dill, the goat cheese and the black pepper, then mix everything. Season with salt and let stand for about ten minutes before serve it. Serve the butternut squash cream soup hot, but not too much. 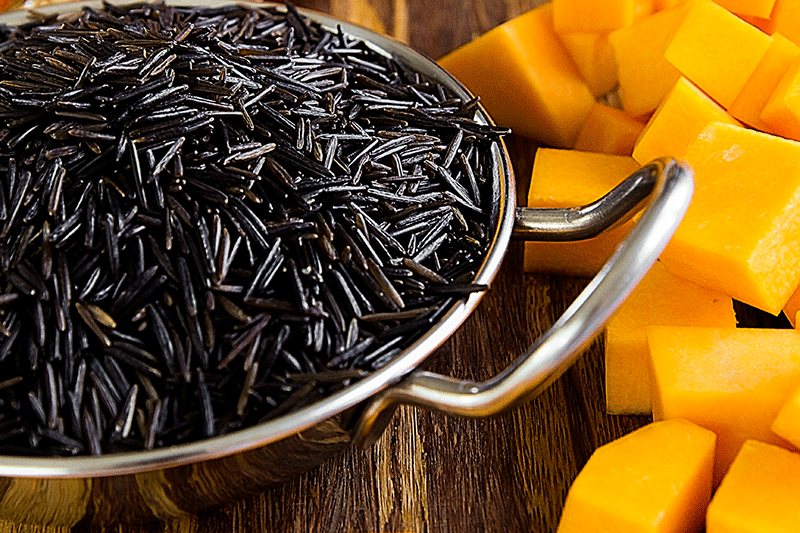 You can incorporate the rice into the cream, or serve it on the table separately. Tired of winter? Here's a hot and colorful cream soup to brighten up your dinner! 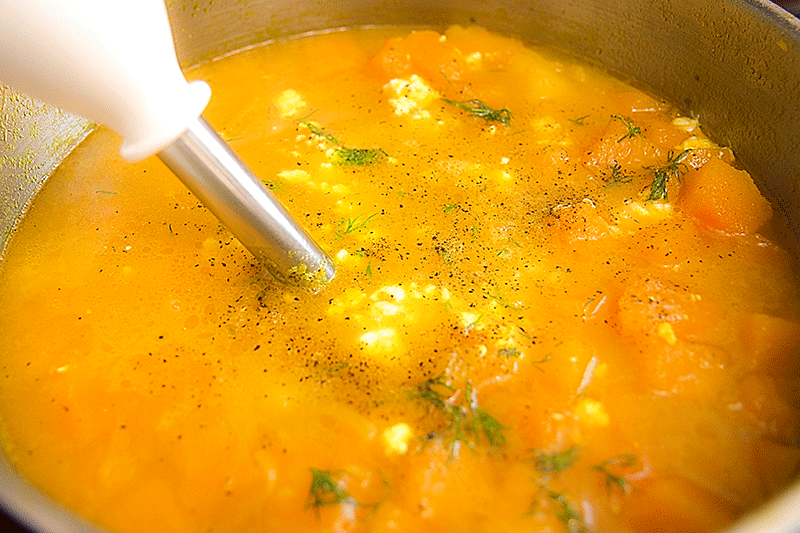 The butternut squash cream soup is a dish that I like to prepare in many versions: Today I propose you a spicy and flavorful version with turmeric powder, dill and goat cheese. 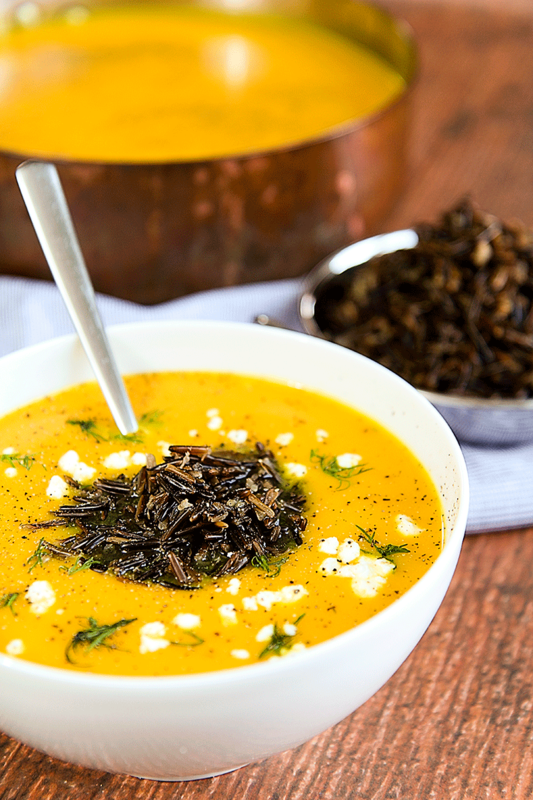 You can serve the butternut squash cream soup with wild rice or, alternatively, brown rice. Wash the rice and cook it with the pilaf technique. washing it before cooking to remove the excess of starch. Follow the cooking times of the pack (it will take about 35 minutes), adding water to double the volume of the rice. When the rice is ready, let stand covered 10 minutes off the heat, then fluff with a fork and let's put aside.